Booklet Labels enable customers to multiply the area used for communication on their packaging several times over and provides unlimited potential for cost savings, waste reduction and increasing efficiencies and sales. Increased legislation and consumer demand for product information can present many packaging problems for pharmaceutical, agrochemical and other product information-driven industries. 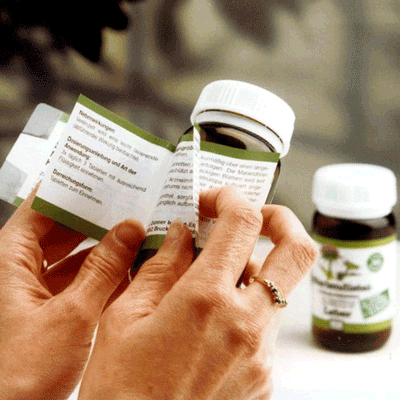 The available space is normally too small for mandatory text such as dosage instructions, contra-indications or product description. The result is usually information-cluttered packaging, which is typically illegible, on the carton or outer packaging as well as an insert in the actual carton. Almost unlimited space for extra text, diagrams and photos. Increased legibility of text and clearer product information. Easy application using standard labelling equipment. Simplified and neat aesthetic to overall packaging. Ability to include usage instructions and other information in multiple languages. Compliance with pharmaceutical GMP's (Good Manufacturing Processes) in all our internal processes. 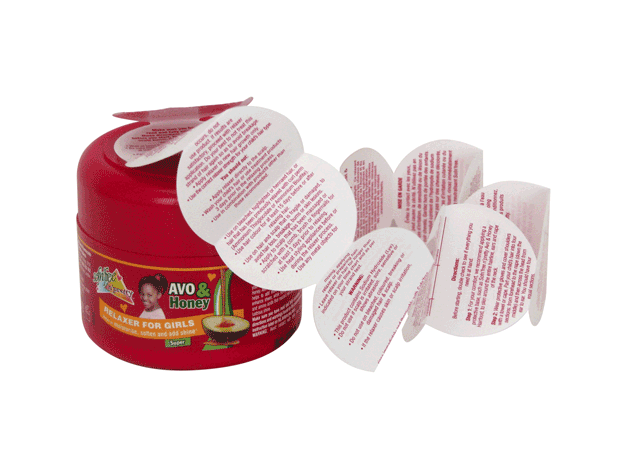 Clear, legible on-pack guidelines encourage correct use of the product and repeat purchase. Reproduction of information in multiple languages, extending the reach of on-pack communication. 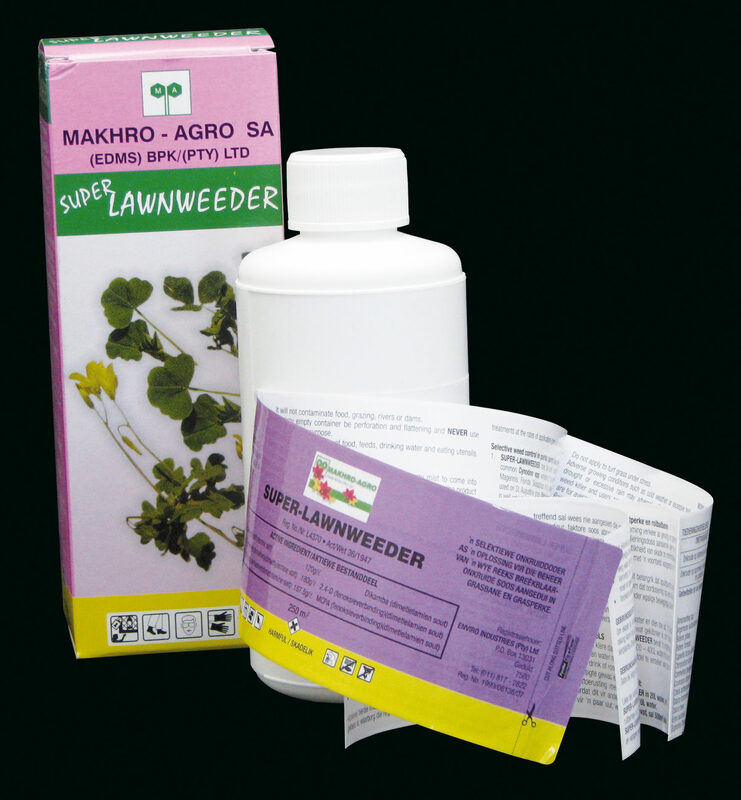 Elimination of using separate packaging, leaflets or labels in the instance of a wide product range. Labels are supplied on-reel for an automatic application using standard labelling machinery resulting in uninterrupted production lines. How can Fix-a-Form® labels be applied to our product? 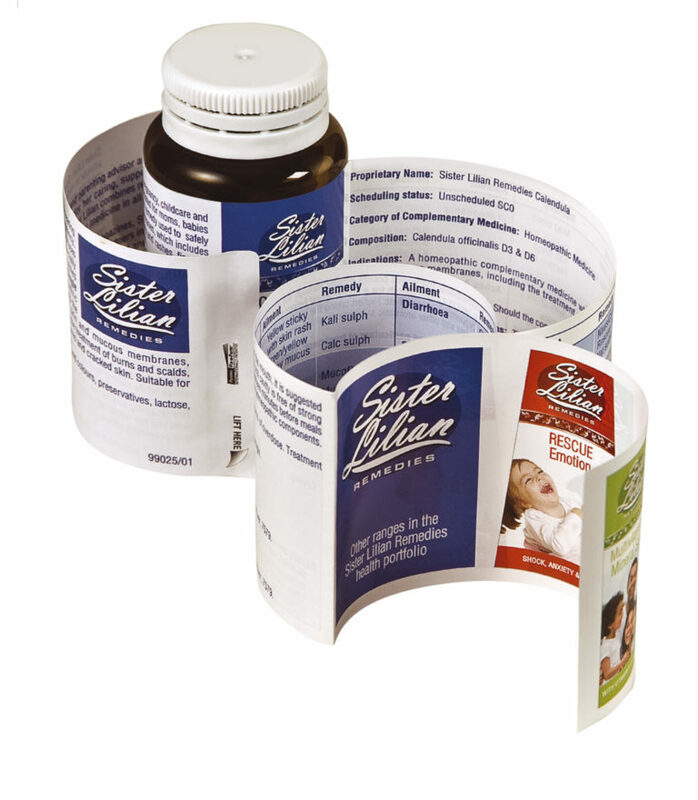 The booklet labelling system, Fix-a-Form®, is designed to create extra space for product usage instructions or promotional messages. As with standard self-adhesive and pressure sensitive materials, they are supplied on-reel and may therefore be applied by using standard label application equipment. They can equally be applied by hand if required. We want to use Fix-a-Form® but don’t have labelling facilities in-house. Can I hire label applicators? 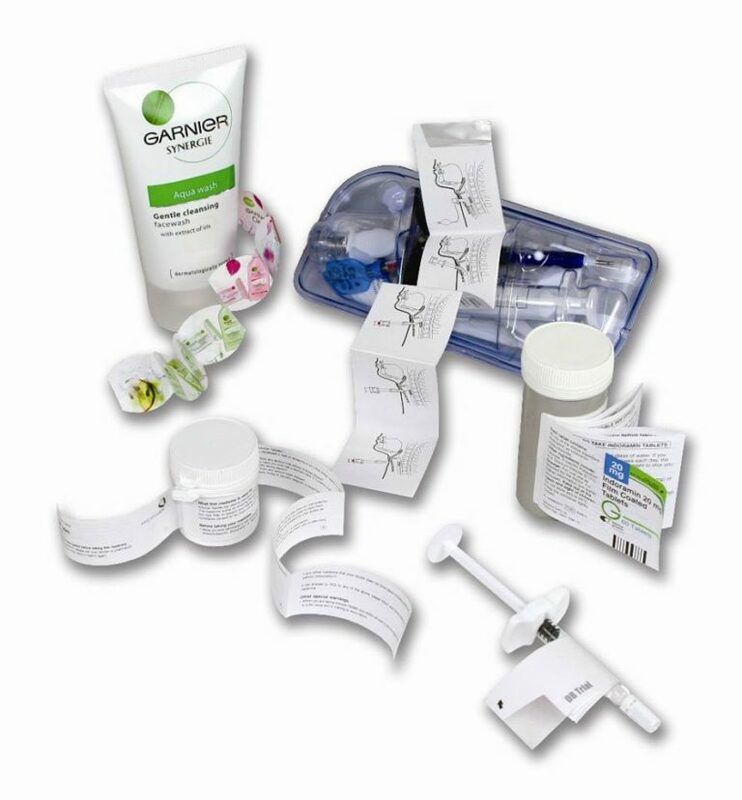 Pyrotec PackMark is a distributor for a variety of world-class labelling, coding and print and apply labelling equipment from Markem-Imaje, ALtech and Harlands – amongst others. These are trusted manufacturers of product identification and traceability solutions for which Pyrotec PackMark has exclusive distribution rights in South Africa. How do I know that the Fix-a-Form® label will work on my product, especially if my packaging isn’t a standard shape or size? We have created Fix-a-Form® labels for all product shapes and sizes so we are able to advise what the best format and specification would be for your packaging. Fix-a-Form® booklet labels can be die-cut so you get a shape to reflect your packaging design. We can produce Fix-a-Forms® as small as 40mm in diameter. How can I visualise Fix-a-Form on-pack? Our trained sales advisors can help you to select the right construction to suit your needs. There are no set sizes, folding patterns or standard shapes you have to be restricted to. 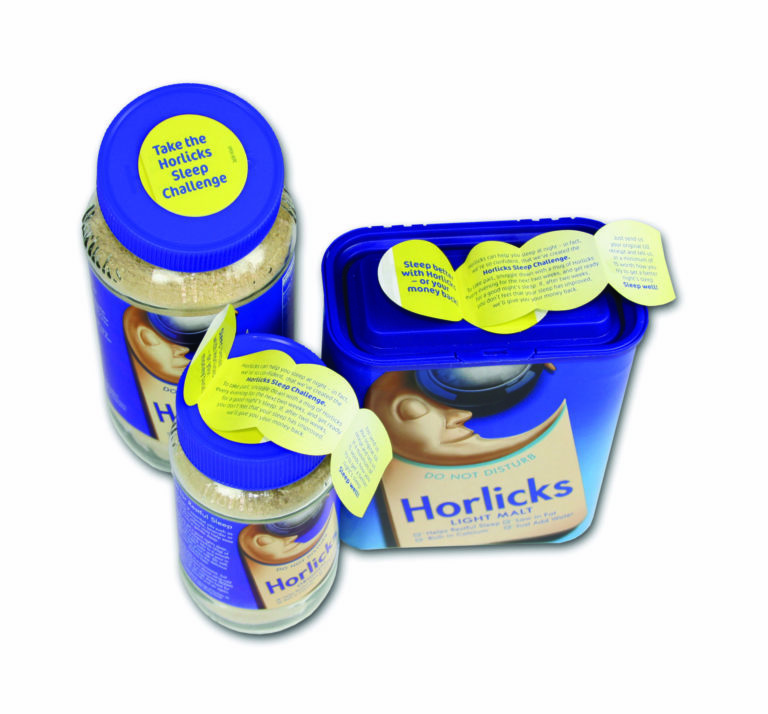 Each product is tailored to compliment your host-pack or container. We will also be able to provide you with plain handmade dummies so that you can see how they will look on-pack. You will also be able to get a feel for how your Fix-a-Form® label will work for you. Why is a Fix-a-Form® more expensive than a standard label? Fix-a-Form is a combination leaflet-label, thus there is the cost of the leaflet + label + combining the two. A Fix-a-Form® can carry many times more information on pack than an ordinary label can, thus the cost per page of information using Fix-a-Form® can easily be lower than for a standard label. Fix-a-Form® can save on labour costs compared with slower/manual inserting of leaflets into boxes/ onto bottles using elastic bands. Fix-a-Form® can eliminate the need for a carton thus saving the cost of carton. How are Fix-a-Form® labels supplied? Are they in sheets, or on rolls? Our labels are normally supplied on-reel. There are no limits on how many labels can be on a reel – this will be determined by the maximum roll size that your label applicator can accommodate. Generally, the minimum core size is 76mm, so as a rule you can expect the finished reel to be anywhere from 100mm total diameter to 400mm. 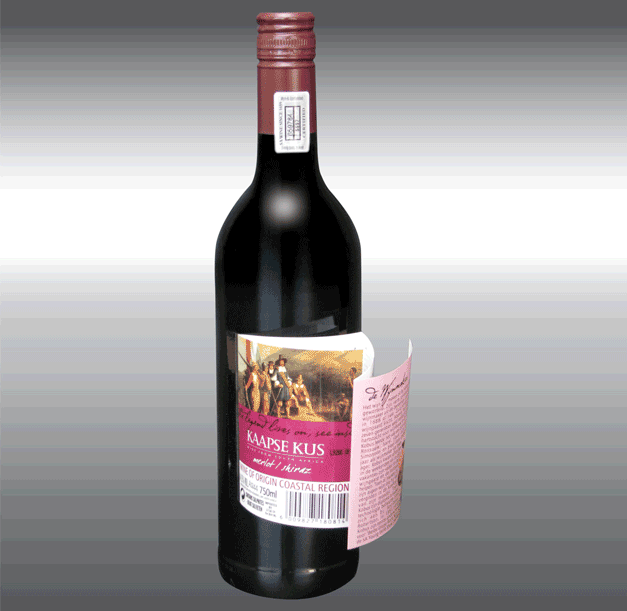 This will depend on the label applicator also – 300mm or 350mm is generally the standard size. The re-wind direction can be specified when ordering. Do I need to supply special artwork? We have our own pre-press department who can supply you with a works map document in a suitable format once an order has been confirmed. This works map will show you each page and how they relate to each other. You can then place your artwork into this document and send it back for processing. This will normally be in a standard pre-press open file. Industry-standard instructions regarding electronic file specification apply. How many different colours can be printed on the Fix-a-Form label? Generally, four or six colours can be printed on the base label and four on the leaflet, but more can be achieved if required. What special features can be added to a Fix-a-Form leaflet label? There are a whole range of optional extras, including hot foil blocking, varnishes, latex scratch-off panels, Braille, randomised variable winning numbers or combinations spread through the printing process, inserts or removable stickers, fluorescent inks and heat ‘n reveal panels. Is there a minimum order quantity for Fix-a-Form®? There may well be no minimum order quantity but there are basic costs that are involved in producing a job and this is likely to affect the unit cost. Likewise, there is virtually no upper limit on how many Fix-a-Form® labels we can produce. What are the production lead times on Fix-a-Form®? The lead time for producing Fix-a-Form® labels varies according to the complexity and volume of the job. A general guideline of 15-20 working days ex-factory can be expected once your artwork has been approved.